We are right in the middle of the festival season and the summer. It is probably a good idea to give to you two banging electro remixes that ..
For the latest installment in their weekly remix series the production team consisting of twin brothers Steve and Steven, collectively .. 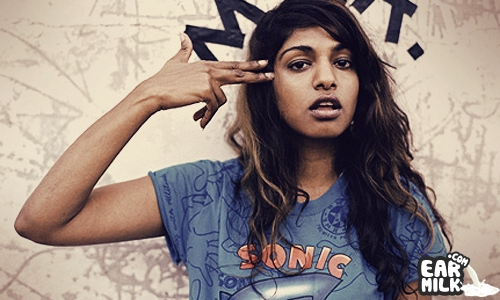 In keeping with the DIY trend that seems to pervade most videos these days, the style of M.I.A. 's newest video for her song "Come Walk With ..
M.I.A. flipped me off at the Superbowl, and I loved every second of it. She truly is one of the baddest girls in the industry, and people ..
Today, Interscope Records has unleashed a brand new track from M.I.A. called "Bad Girls". You may of heard a rough cut of these rhymes on one of her previous ..